The middle of winter is when I like to do a lot of armchair travel. 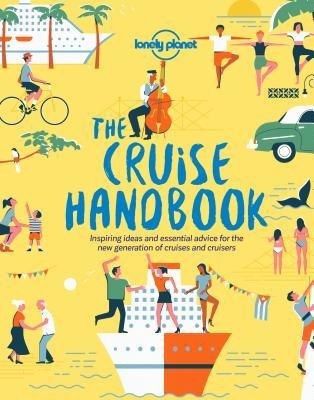 This is partly a coping mechanism for the cold, dark, rainy days, and lately I've been thinking that a cruise sounds fun. I have been on only one in my life. I was a teenager and with my parents, so I was just along for the ride. 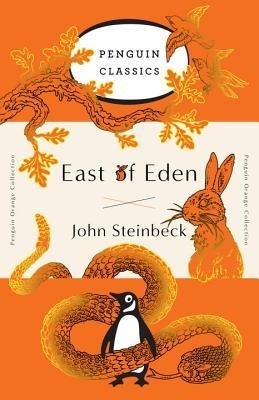 What I remember most were the long days far from dry land, when I managed to devour the entirety of Steinbeck's East of Eden (Penguin, $18). While we did go parasailing in Cabo San Lucas and joined an excursion to a secluded beach in Puerto Vallarta on that trip, I wonder what it'd be like to take charge of such a trip myself. "Emergency Poet" Deborah Alma plans to dispense literary first aid from her new Poetry Pharmacy in Shropshire," the Guardian reported. Illustrator Tom Gauld "on how to deal with owning too many books." Headline of the day (via Reykjavik Grapevine): "Icelandic Cat Spends the Night in a Bookstore, Elicits Sympathy." Pop Quiz: "Who wrote it: Edgar Allan Poe or an Emo band?" Mental Floss challenged. The University of Oxford's Bodleian Libraries acquired a rare 15th century French Gothic book coffer, Bookshelf reported. 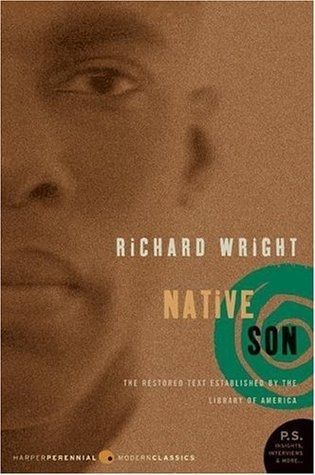 First published in 1940, Native Son by Richard Wright follows Bigger Thomas, a black 20-year-old living on Chicago's South Side in the 1930s. He shares a single room with his mother, sister and brother, all of whom rely on his meager income. When Bigger gets a new job with a wealthy white family, he finds himself cast into an alien world of uncomfortable kindness and strange words. His employer's daughter, Mary, attempts to teach Bigger about Communism with little success. One night after chauffeuring Mary and her boyfriend, Bigger accidentally commits a heinous crime and tries to hide it--poorly. Bigger's life rapidly unravels into violence and incarceration. As a domestic worker and single mother, Stephanie Land survived day by day, paycheck to paycheck, often judged or just unseen by the people around her. 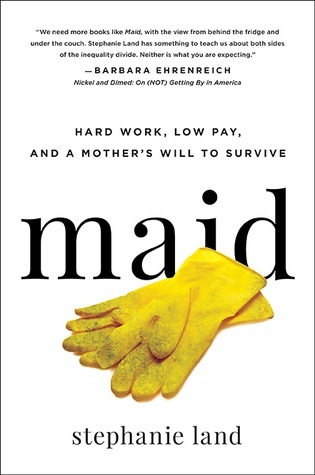 In her memoir, Maid: Hard Work, Low Pay, and a Mother's Will to Survive (Hachette, $27; reviewed below), Land shines a light on the experience of escaping domestic violence and providing for her daughter, all while following her dream of becoming a writer. 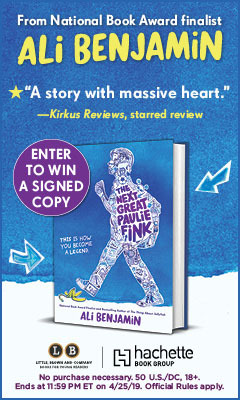 The first line in this book is so powerful: "My daughter learned to walk in a homeless shelter." Your relationship with your daughter is at the heart of this book. How has motherhood impacted your writing, and how has being a writer impacted you as a parent? I think the writer in me clashes with my responsibilities as a parent quite a bit. I get so lost in myself, in books, in journals, in things I want to write, and parenting interrupts that almost constantly. I think parenting made me a very fast, very focused and very productive writer. I had to learn how to write 12-page essays on Shakespeare with Sponge Bob Square Pants blaring in the background when I was in college, and that carried over to when I also had to write articles as a freelancer. The issue of the invisibility of domestic workers is painfully apparent in this memoir--and you make visible some of the people who might not get to tell their own stories. What do you hope readers will gain by seeing these stories up close? My biggest hope is to not only increase visibility, but to increase compassion by making invisible populations more human. I hope for empathy toward the people who clean up after us, who hand us coffee, who hand over our kids after caring for them all day. These people are not paid anywhere near a wage they can live off of, and definitely not enough to support a family. I hope people start to realize that more. There are evolving definitions of "home" in Maid: "Our space was a home because we loved each other in it," and "Home was a place that embraced us, a community, a knowing." What is your definition of home now? You know, I don't really know. I think I'll always feel a bit distanced from that word as someone who is estranged completely from family. I'd like to say it's where the people you love are, but most of my closest friends are scattered around the country. I don't think of home as a physical place as much anymore. It's a wholeness you carry with you wherever you go. Barbara Ehrenreich's Nickel and Dimed is required reading in many schools; did you read the book in school yourself? Did you have any models for this book? I read the book when it came out, or when the paperback came out. I was 19 or 20 and had already worked as a waitress and coffee girl and as a house cleaner for a brief stint. So at the time, it was about my life a little bit, even though I was young and didn't have any dependents and could work whenever I wanted to, not having to worry about child care or feeding people other than myself. My models for Maid were countless breakout memoirs by female authors I've read over the years. I studied them as I grew into a writer because that was where I felt I was headed. You've made it to Missoula, Mont., the town you set your sights on throughout the book. As you point out, it is a town made famous by many celebrated writers. How does it feel to be one of them now? Ha! Boy, I don't know. We were at an event last night, and as I handed over cash to pay, the lady said, "Aren't you Stephanie Land, the famous writer?" and a lady behind her said "YES!!" I just kind of blushed and said, "Famous writer is an oxymoron," and moved along. Mia's friends at school call me famous, and I don't have to give my name for things like getting my card back when I open a tab or want a table, but I'm still just a girl in Carhartts with a couple of disheveled kids in tow. You mention having a small stack of books while in the transitional housing. Do you remember what they were? Probably the same ones that are on the shelf in my living room: The Prophet by Kahlil Gibran, The Alchemist by Paulo Coelho, Still Life with Woodpecker by Tom Robbins and My Story as Told by Water by David James Duncan. I'm currently loving Deep Creek by Pam Houston. You drink a lot of coffee in this book. Do you drink it while you write? What's your ideal cup of coffee? Reddick is a 30-something white artist who lives in Bedford-Stuyvesant in Brooklyn, N.Y., and makes rent by working as an art handler. While on a job for the old-money Seward family on Manhattan's Upper East Side, he learns that the woman he encountered in the alley behind his apartment building the night before is the fiancée of scion Buckley Seward. And she has gone missing. From the Seward family's refusal to contact the police, Reddick draws an easy conclusion: Buckley would rather not admit that "his fiancée was out partying in a black neighborhood." Spurred on and subsidized by a wealthy friend of the Sewards, Reddick turns detective, poking around his neighborhood in hopes of discovering what the missing woman was doing there. He constantly runs up against Restoration Heights, the unfinished towers whose construction has been halted for the winter. The site has been the source of much tension between the locals and the agents of gentrification; what's more, Reddick notes that it "could definitely hide a body." Discover: A Brooklyn artist takes it upon himself to hunt for a missing woman in this deft and dogged first novel. Hedy Lamarr is famous as the glamorous Hollywood movie star of the 1940s. But few know of the Hedy behind the scenes: her life as an acclaimed actress on the Viennese stage, then wife of a notorious Nazi-connected arms manufacturer and, after her Hollywood fame, a scientist. As she did in her earlier historical novel, Einstein's Wife, in The Only Woman in the Room, Marie Benedict reveals a woman whose depth was lost to history. Following her performances as the beloved Bavarian Empress Elizabeth, Hedy Kiesler dutifully returns to her family's home in a Jewish neighborhood in Vienna. That she marries Friedrich Mandl, an arms dealer known as "The Merchant of Death," seems uncharacteristic, but at 19 she's taken with his charm. She also heeds her father's prediction that as Mandl's wife she might protect all of them from Hitler's creeping power. Initially she savors the opulence of Mandl's lavish lifestyle, but as the only woman in the room, she also listens intently when her husband entertains politicians, including Hitler. When the Führer assures Mandl he'll name them "Honorary Aryans," she plots her escape to London and, soon after, to California. Discover: This historical novel depicts film star Hedy Lamarr's little-known achievements in science, sparked by her knowledge of Nazi weapons gleaned when she was the young wife of an Austrian arms manufacturer. You Know You Want This, Kristen Roupenian's debut collection of short stories, includes 12 stories that tackle the nuanced and often monstrous dynamics of sexual power. The collection includes "Cat Person," the viral short story originally published in a December 2017 issue of the New Yorker. There are other standouts, such as "The Nice Guy," which follows seemingly innocuous Ted, who gets off on imagining women mutilating themselves. In "Biter," a young women lies in wait for the perfect moment to sink her teeth into men, and "Look at Your Game, Girl" reimagines the infamous kidnap and murder of Polly Klaas through the eyes of a girl who wasn't taken. Discover: Kristen Roupenian reveals the interplay of gender and power to be equal parts fun house and horror show in You Know You Want This. Discover: A cop with an infamous history becomes embroiled in multiple mysteries stemming from a victim's group while she's sidelined following an on-the-job shooting. In the mid-21st-century United States, mass shootings have been monetized. An exodus of the young and educated, combined with climate catastrophe, has created a country of cruel, terrified, mostly white and elderly people. In this grim future, the media network ONT (Our Nation's Truth) has turned mass shootings into reality TV. Robert Jackson Bennett (Foundryside; the Divine Cities trilogy) imagines the NRA's dream future: a gun, or more than one, for every man, woman and child. As a way to encourage its citizens to remain armed and afraid, ONT, with the support of the gun manufacturers and other businesses that own the government, hosts Vigilance--an irregular TV event that locks down a surprise location and lets multiple pre-selected shooters, armed with camera drones and guns, go on killing sprees. Civilians who kill shooters, or shooters who kill all their targets, can win millions of dollars. The small print on every public building declaring all entrants subject to Vigilance makes the legalities of such slaughter a nonissue. As the latest shooting unfolds, Bennett shifts between its cynical producer at studio headquarters and a waitress who witnesses her fellow citizens at their worst. Discover: In a declining future U.S., mass shootings are reality TV. "You're welcome." These are the words spoken to Stephanie Land in a grocery store by a man behind her in line--because she's paying for her groceries with government assistance. Moments like this crop up throughout Land's debut memoir, Maid: Hard Work, Low Pay, and a Mother's Will to Survive. After escaping a relationship that became abusive when she got pregnant, Land has limited options. She can't rely on family for help, and friends don't realize just how much she struggles to get by. Finding work as a maid, Land becomes an intimate observer of people's lives. Yet she remains nearly invisible to them even as she comes to know their most private habits in the kitchen, bathroom, bedroom and beyond. Despite Land's tireless efforts juggling work and single parenting, she must rely for a time on seven different kinds of government aid. Even then, access to healthcare and healthy food for her daughter are a battle. Discover: This powerful, poignant memoir probes the exhausting and often dehumanizing effects of poverty in the tale of a woman working desperately hard but barely making it. 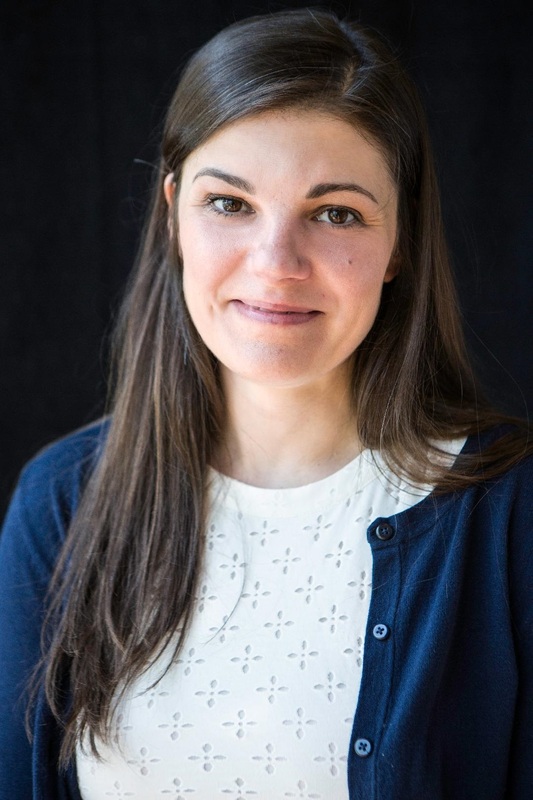 When she was a graduate student at Yale, Emily Bernard was one of seven victims of a random stabbing in a New Haven coffee shop. The attack was not racially motivated, but its effects--the enduring physical pain caused by her wound and the mental and emotional weight of the incident--have prompted Bernard to delve into the realities of her life as a black American woman. The essays in her third book, Black Is the Body, explore Bernard's experience as a black woman raised in Nashville who is now a long-time resident of Vermont. She explores what it means to be a mother of twin adopted daughters from Ethiopia, the wife of a white man and a thoughtful human being determined to get at the complicated truth of her identity. After recounting the story of her stabbing, Bernard (Some of My Best Friends) moves on to "Teaching the N-Word," which reflects on the challenges of teaching African American literature to mostly white students at the University of Vermont. She appreciates her students' careful approach to racially charged terms, but pushes them to think beyond the words they so assiduously avoid saying. As with her students, so with her readers: Bernard's essays insist on critical thinking about the complexities of living in a black body. Discover: Emily Bernard's bold essays explore the realities of living as a black woman in the U.S. In the 20 years since If I Can Cook / You Know God Can was first published, black culture has continued to remember, incorporate and evolve in music, art, food and life in general, as more and more generations share histories and memories across the African diaspora. The late Obie Award-winning playwright Ntozake Shange (For Colored Girls Who Have Considered Suicide / When the Rainbow Is Enuf) modernizes her journey with vegan recipes that nonetheless stay connected to their roots. Providing a poetic, artistic meandering through a web of connected cultural influences that have defined and created what the world has come to know as African cooking, Shange unravels the complicated twisting pathways by which food and flavor have developed throughout African culture. She acknowledges the "ironic freedom" of former African slaves following the call of "Westward, ho!" to Oklahoma, where "a beef pot roast for supper, a venison pot roast or buffalo stew was... satisfying." Yet, "We also know that black soldiers, the Buffalo soldiers, were definitively responsible for the containment and oppression of many Native American tribes." There is no recipe that has not been touched by the influences of another people, time and place. Do not expect a traditional cookbook with listed and measured ingredients and exact cooking times. Do enjoy Shange's intensely personal experiences with food, the oral tradition she transcribes onto paper when describing food preparation, and the stories of the people who taught her how to make it or who she made a meal for. --BrocheAroe Fabian, owner, River Dog Book Co., Beaver Dam, Wis. Discover: This essay and recipe collection by the late Obie Award-winning playwright Ntozake Shange considers African cuisine and the history that shaped it. Humanity has always felt a strange pull to the earth beneath us. Caves, as author and journalist Will Hunt explains, mess with our sensory apparatus and initiate our fight or flight response. Stay in the dark long enough and one will begin to hallucinate, seeing floating spots that eventually coalesce into shapes and images. And yet, humans have journeyed underground since we evolved from other upright apes: we can't escape its allure. Underground explores this primal call from the deep, with Hunt relying on his experience as a spelunker and urban explorer to help shine light on the darkest places on earth. From ancient caves to the sewers in New York and Paris, Hunt takes the reader on a fascinating journey that transcends culture and time, linking modern and ancient practices to create a colorful mosaic. Hunt deftly explains a wide swath of subjects, equally comfortable with hard science as he is with personal narrative. The latter may be the best part of Underground, though, since his excitement at traveling beneath the earth is infectious when describing his first solo sojourn or his attempt to traverse all of Paris through its catacombs and sewers. Readers follow Hunt as he travels the world, learning about the collective human experience underground, yet another example of how cultural practice and belief transcends geography and time. Underground is a lively, informative read that nicely balances adventure with anthropology and science, placing Hunt's own dynamic history at the center of it all. --Noah Cruickshank, director of communications, Forefront, Chicago, Ill. Discover: Underground nicely pairs adventure and cultural history as it depicts humanity's never-ending obsession with the world beneath us. Part memoir, part self-help book, Matt Haig's unassuming but wise Notes on a Nervous Planet is the perfect antidote for that stab of anxiety felt when the words "Breaking News" flash across the television screen. It's what you need when you can't kick the Pavlovian impulse to check compulsively the "likes" for your most recent Facebook post. His memoir Reasons to Stay Alive described a struggle with depression in his 20s that pushed him to the brink of suicide. Now Haig offers a collection of mostly micro-essays, a buffet of ingenious responses to what he suggests is the overriding question of our time: "How can we live in a mad world without ourselves going mad?" Haig singles out most of the usual culprits for collective angst, including the 24-hour news cycle and social media. But at the heart of his diagnosis is that, alongside this atmosphere of constant connection and distraction, the culture is designed to instill in its participants a feeling of perpetual dissatisfaction, of never having or being enough. "We are being sold unhappiness," he writes, "because unhappiness is where the money is." There's no shortage of practical wisdom in this book. It features checklists entitled "How to own a smartphone and still be a functioning human being" and "Ten ways to work without breaking down." It also suggests adopting healthy practices like yoga, spending time in nature and dealing with sleep deprivation. Discover: Matt Haig offers a wide-ranging survey of the steps we can take to live a saner life in a world that seems, at times, insane. Monday: "The bell rings.../ Daddy gathers wood./ Mama cooks./ We eat./ Mama kisses me./ Daddy hugs me./ My brother Ben/ touches my shoulder/ good-bye." Mama, Daddy and Ben head to the fields "with the overseer/ and Master Tucker's other slaves." On Tuesday, "the bell rings" and the cycle begins again. Wednesday is different: "The bell rings," but Ben "surprises" his little sister, first, "with a kiss on the cheek,/ then whispering/ 'Good-bye'/ in [her] ear." Thursday, the girl wakes to the sound "of Mama and Daddy/ searching." Mama is crying. "No Ben." Daddy is crying. "Ben ran." On Friday, Daddy gathers wood and Mama cooks. The little girl can't eat. Saturday, "we talk of Ben," the girl's first-person narration says. "We miss him./ We hope he's free/ like the birds." Later, the boys who ran with Ben are found and whipped; "all night" the family cries, praying for Ben. On Sunday at worship, Big Sam preaches and everyone prays that "Ben made it./ Free like the birds./ Free like Moses./ No more bells." Then, it is "Monday..." again. Discover: Award-winning author James E. Ransome's newest picture book, The Bell Rang, tells about an escaped slave from the perspective of the loved ones left behind. Pura Teresa Belpré could be considered the mother of U.S. Latinx children's literature. In 1921, she moved from San Juan, Puerto Rico, to New York City, where she began working as a trilingual assistant for the New York Public Library. Using her storehouse of Puerto Rican folktales, she spent time in the children's room, telling tales and planting "her story seeds." Wanting to add books to the library shelves and create works that would allow "children new to this island... to remember la lengua y los colores of home," she published some of her stories, such as Pérez y Martina, in which "Martina, a beautiful Spanish cockroach, meets Pérez, a handsome and gallant mouse." Anika Aldamuy Denise, also of Puerto Rican heritage, writes Planting Stories in simple, dynamic text. Spanish words are well-integrated, their meaning easily intuited by English speakers: "What began as a visit to celebrate her sister's wedding becomes the first steps in a new land--y una vida nueva--for Pura." Paola Escobar's digital illustrations create an appropriately retro, sometimes magical look. In a double-page spread depicting Belpré speaking at an American Library Association banquet, violinist Clarence White, sits at a table; Escobar superimposes puppet images of Belpré's characters with musical notes and stars floating in the air to echo the narrative: "like the beautiful Martina, [Pura] meets her Pérez." Discover: This picture book about the life of the Puerto Rican storyteller and librarian Pura Belpré will likely inspire young readers to create their own tales to share with others.